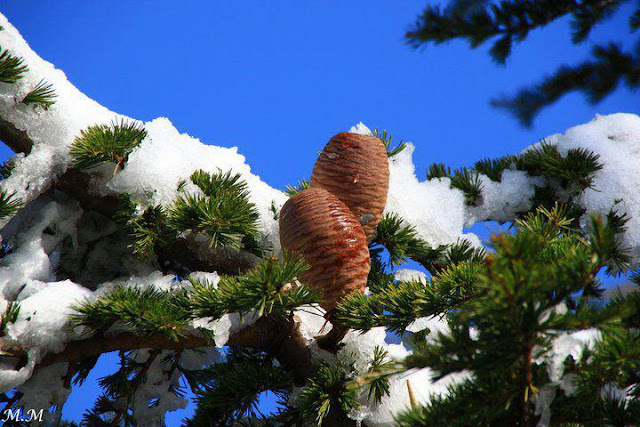 Bluegreen Liban: Lebanon, The Cedar Land ? Lebanon, The Cedar Land ? Sonof man, say to Pharaoh, king of Egypt, and to his people; Whom are you like inyour great power? See,a pine-tree with beautiful branches and thick growth, giving shade and verytall; and its top was among the clouds. Itgot strength from the waters and the deep made it tall: its streams went roundabout its planted land and it sent out its waterways to all the trees of thefield. Inthis way it became taller than all the trees of the field; and its brancheswere increased and its arms became long because of the great waters. Inits branches all the birds of heaven came to rest, and under its arms all thebeasts of the field gave birth to their young, and great nations were living inits shade. What is the situationof the forest today ? Lebanon bears two types of vegetation. the first is Mediterranean and covers the humid areas where we find oaks, pines and the firs of Clicice, the junipers of Tauride and of course the cedars of Lebanon which dominate the Lebanese Mounts. The other type is pre-steppic . It spreads over the rest of the areas except the zone from Jabal El Cheikh to Jabal Barouk. Vegetation of southern Lebanon, the forests have disappeared here yet we are 700 meters down atitude .. you see the village of Shaqra, the same as you see below reforested. Nevertheless, statistics show that the forest cover does not go beyond 7.4% of the country's whole area (74000 hec) whereas it exceeded more than 36% of it in 1996. If we compare this to France, we find out that the 1/3 of the French territory is covered by forests. Nonetheless Lebanon can boast off its possession of many primary forests, an authentic biodiversity treasure while similar ones have vanished in Europe. 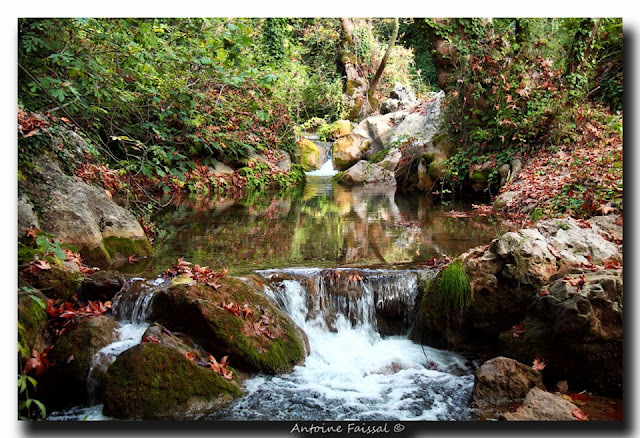 How can we manage the Lebanese forest ? The alarm bell has been heard by the environment ministry which has revealed its awareness, interest and concern about the necessity to save the country's forest wealth. Therefore it took measures to supervise this. 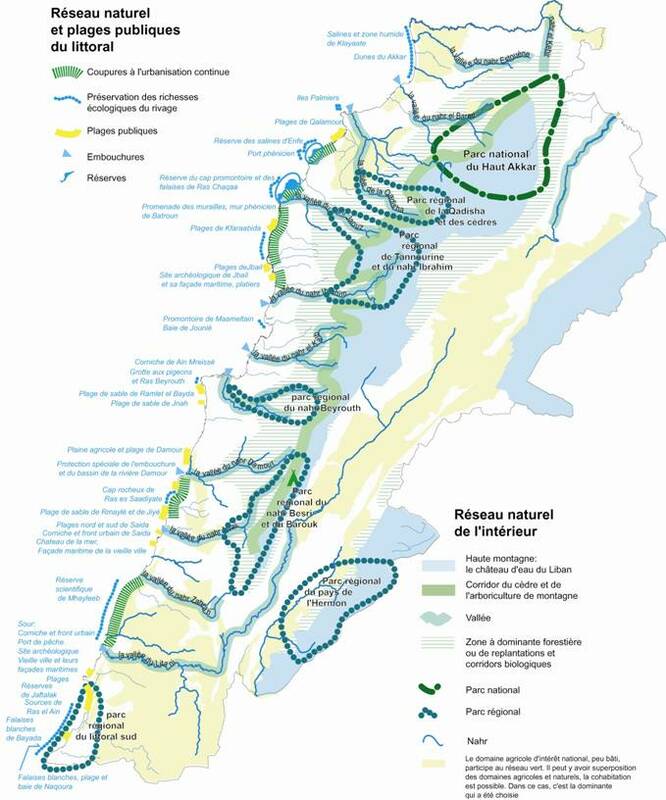 To start with, it has already elaborated a project of preserving natural reservations in addition to the project of setting up a regional reservation as pine forest of Jezzine. The development plan of the territory deals with 6 potential sites Qachisha, Jaquz, Ibrahim, Ras El Metn, Barouk-Bisri and Naqoura. But beforehand there is a need to an inventory work about the richness of the present fauna and flora to measure the progress achieved afterwards. An interesting suggestion is over the importance of creating cedar alleys with a programme of refforestation. This is described as vital to protect the Tallis Hardwood which plays an important role in conserving the seedlings from the sun heat and from pasture. A forest is an amalgam of numerous plant species and a great variety of trees. An extremely rich and diversified ecosystem prevents the soil from erosion , from heat, and at the same time conserves the primary forests which most of them expand along the water streams, maintaining humidity and resisting blaze. Whereas forests composed only of resinous pines constitute real fire torches. What would the roleof ONG and local collectivities be? 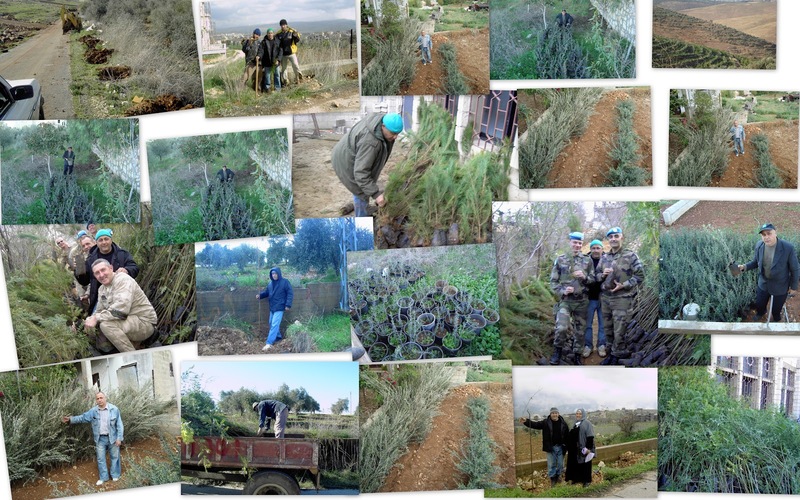 The Lebanese associations have too much focused on the protection of the national cedar whereas the interest should be on the ecosystems with a circular multi level actions. In other words communities can play a fundamental role by collecting the dead wood, vegetal debris and fragments following the technic of Wood, Branches, fragments ( WBF) which will lead to the revitalising of all hills and arid zones,and then getting back the excess of glands and immature vegetation to be planted again. Indeed a lot villages of the south have already started to treat domestic waste to produce an excellent fertilizer to revive the desert mountains. Yet why all these efforts if we don't master and acknowledge the control of forest blaze which represents a real calamity. More than 3000 hec have been devastated by fire in less than 3 summers period. Our call today is: let's reinforce the civil defence with sufficient materials and rangers. Let's ban coal making and all sorts of picnics with hookah in the forests. Afterwards let's establish a clear forest cadastre to precise the potential construction zones, refforestation zones and reservation zones then let's set up a policy to bring nature to cities . You may have noticed that villages are more wooded than the neighbouring arid hills. The natural regeneration is hard to fulfill because of the destruction of the seedlings and the pastures. Individual reforestation programmes where the associations have to join the local collectivities to organize campaigns for massive and progressive reforestation. They can also collect the excess of glands to plant them in areas already strengthened by compost and wild vegetation. we can thereby ban the burning of wood all over Lebanon except when used for heating in certain homes. Happy to share it with you! Also feel free to post information about events, news, activities about your group on the LCG FaceBook Group and/or FanPage, anytime since it is a platform for public information sharing concerning Lebanon's natural environment.